Hat-tip to Josh Salinas at Seyfarth Shaw for his fine analysis of new Oklahoma legislation that chips away at some prohibitions on restrictive covenants. 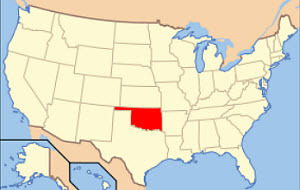 Oklahoma is one of three red-flag states that generally prohibit non-competition agreements. And while true non-compete arrangements are void like they are in North Dakota and California, Oklahoma statutory law allows for agreements under which an employee agrees not to solicit the sale of goods or services "from the established customers" of the employer. Therefore, Oklahoma courts will enforce reasonable restraints that fall short of broad non-compete restrictions. The new legislation, Senate Bill 1031, affects another type of restraint - employee non-solicitation covenants. As readers know, those types of covenants impact an employee's ability to solicit fellow employees to leave and join a competitor. They're commonly referred to as "Pied Piper" clauses and can work significant hardships on employees who are looking to build a team of sales or information technology professionals for a new company. SB 1031, embedded below, allows for contractual covenants that prohibit an employee's ability to entice away other employees. Josh makes the point in his blog post that this new legislation may permit only clauses restricting active recruitment or enticement away of current employees. Put another way, is a clause prohibiting an employee from hiring those employees who may seek out alternative employment on their own enforceable under Oklahoma law? Josh says likely not. I agree and think the answer is found in Inergy Propane, LLC v. Lundy. This is an Oklahoma case from 2009 where the same issue was at play, except the case involved a customer (not employee) non-solicitation covenant. As Oklahoma law has developed, a prohibition on diverting clients "where no active solicitation has occurred" runs afoul of state statutory law and is an illegal restraint on trade. I think it's likely Oklahoma courts would find that the same rationale applies to employee non-solicitation agreements, particularly since (as Josh notes) recent Oklahoma cases have frowned upon broad "no-hire" covenants. The best argument for making the distinction is that a restraint on soliciting customers is much more likely to impact an employee's value to potential new employers and therefore limit his or her right to earn a living. The same hardly can be said for Pied Piper clauses, which shouldn't impede one individual's ability to sell his or her services on the open market. Unfortunately, this legislative and judicial hair-splitting and word-play does no one any good. It is exceedingly difficult for an employer to determine who solicited whom. And in the absence of a mistakenly sent e-mail or a customer who is exceedingly loyal to the company, an employer is unlikely to find out except through the discovery process which party initiated the contact. These statutes may be intended to discourage litigation, but only invite it, as they fail to create objective rules.